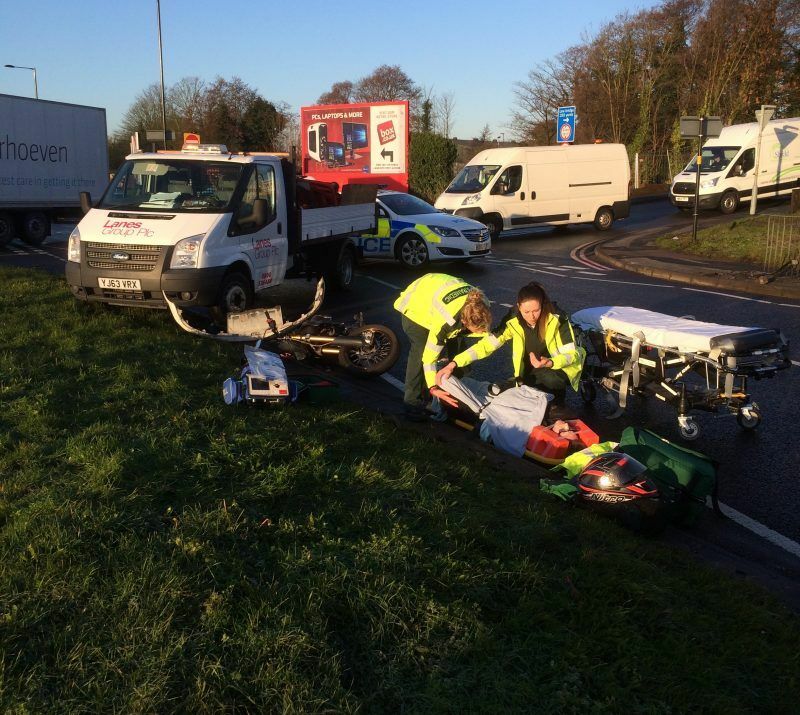 Two Lanes Group engineers came to the aid of a motorcyclist who was left lying injured in the middle of the road after he was involved in a collision with a car. Quick-thinking Excavation Engineer Dan Perry pulled his pick-up truck across the carriageway to protect the motorcyclist – while his assistant, Carl Treen, jumped from the vehicle and went to help the stricken rider. Dan called 999 to alert the emergency services, then the pair stayed at the scene – their vehicle continuing to protect the crash site – while paramedics worked on the injured man and police investigated the collision. The incident happened soon after 8am this morning (Thursday 18 February) in the middle of the rush hour on the A38 dual carriageway at Minworth, Birmingham. Dan and Carl had just left the Birmingham depot nearby when they witnessed the collision. While Dan called 999, Carl went to help the injured motorcyclist. He said: “He was talking which I was glad to see. We put one of our coat over him to keep him warm. He said his leg hurt and he thought he had broken it. Dan said: “The paramedics spent a lot of time working on him, putting him in a neck brace and fitting leg braces. Then they put him in the ambulance and took him off to hospital. Paramedics attended the scene following a 999 call from the Lanes engineers.